Subject: LongIsland.com - Your Name sent you Event details of "Showcase Cinemas’ Event Cinema Presents: The Metropolitan Opera’s: Samson et Dalila"
Have you always wanted to see one of The Metropolitan Opera’s noteworthy performances, but haven’t been able to attend a live production in New York City? Well you are in luck! 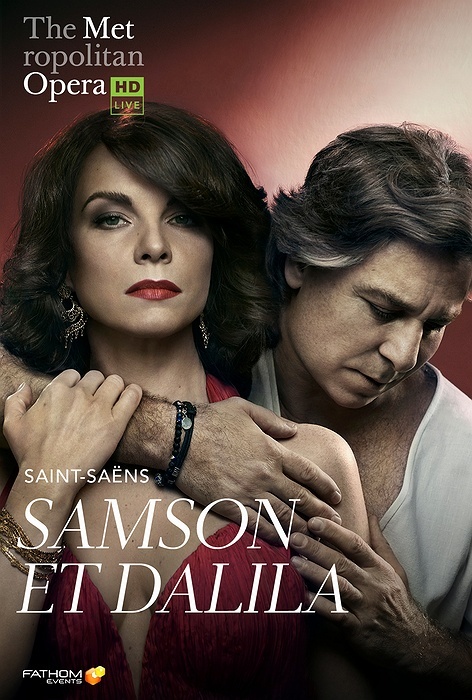 Opera fans can now enjoy a live screening from the comfort of their local theatre (now available at additional locations), with Showcase Cinemas’ Event Cinema presentation of Saint-Saëns's “Samson et Dalila.” This three act, four scene Opera is based on the biblical tale of “Samson and Delilah,” found within the Old Testament. Take a step back in time to 1150 B.C in the city of Gaza and watch as Samson, leader of the Israelites, struggles to resist the Philistine woman Dalila’s beauty in this story of romance, passion, betrayal, power and faith. Enjoy the complex sets, beautifully intricate costumes, and emotion-filled, captivating experience from the comfort of your reclining chair at Showcase Cinemas. The Metropolitan Opera has hosted some of the best Opera performances in the world since its opening in 1966. Showcase Cinemas is thrilled to present The Metropolitan Opera’s productions as part of its Event Cinema programming.